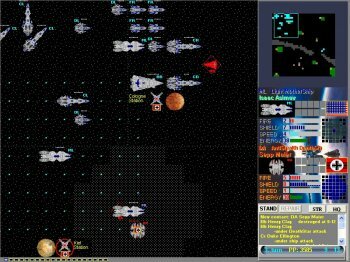 Space turn-based strategy game represents WW4 conflict. Game contains missions, death-match and free hunt scenarios & campaigns with more than 60 ship, death-star, stealth, fighter,artillery and radar unit types, and 90 battle technologies. Game objectives: conquer enemy space stations, defend friendly stations, destroy ships, secure transport convoy to the friendly stations. Player can purchase new units and combat technologies during the game.